Laplace Insights was founded by Jean-Marc Patenaude out of his lifelong passion to find a better and safer way to invest. A machine learning data scientist and electrical engineer, Jean-Marc has a clear vision to deliver data and technology driven investment strategies to investors. Laplace Insights partners with investment firms and financial advisors to effectively introduce investors to these strategies and to enable the benefits made possible by these advanced technologies. Columbus™ ETF is Laplace Insights’ flagship investment strategy, based on an advanced optimization algorithm and predictive modeling techniques. It allocates funds within a universe of low cost, highly liquid ETFs, each representing one of the world’s major asset classes. It trades once a month while providing insights into what’s happening behind the scenes in all the major global markets and asset classes. 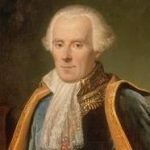 Pierre-Simon, Marquis de Laplace (1749 – 1827) was a mathematician and astronomer. His work was pivotal for the advancement of modern probabilities and statistics, which continue to be highly relevant in numerous fields today including some of the most complex computer algorithms and artificial intelligence applications in investing. Laplace made significant foundational contributions to the world of mathematics, many of which are highly relevant today in data science, machine learning and artificial intelligence. By naming ourselves after Laplace, we strive to honor his contributions to modern mathematics in a way that is practical and relevant to individual investors and their advisors. We help investors achieve their financial goals by providing machine-intelligent tools and investment strategies to their trusted advisors. We believe the most important role of an advisor is to act as the investment coach and confidant for their clients. We provide objective, data-intelligent market insights coupled with investment strategies and easy-to-understand communication tools to the advisor in a timely fashion. In turn, the advisor can implement the strategies in their client’s portfolio while also sharing these insights with their clients. These data-intelligent yet simple insights help foster a deeper level of exchange between advisor and client and, over time, help further develop trust and a deeper relationship with each client. We leverage the best that technology can offer to develop our investment strategies, insights and communication tools. We design our investment strategies to be resilient, robust and to provide relatively stable returns over the long run. We perform extensive statistical validation of our strategies to ensure a consistent level of performance. Although we will never claim to predict the future, we do perform extensive analysis of the past and thus provide data-intelligent, objective guidance that is useful for the future. All this with the goal of reducing investment uncertainties by gaining a clear understanding of what’s happening in the markets, above and beyond the frenzy of daily news!